We welcome you in 2019 from a place not particularly famous, but which preserves a small treasure. 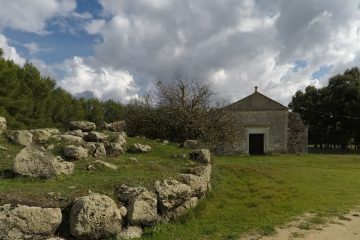 We are near the ancient country church of San Pietro delle Immagini. Bulzi is a very small hill village, in the region of Anglona. 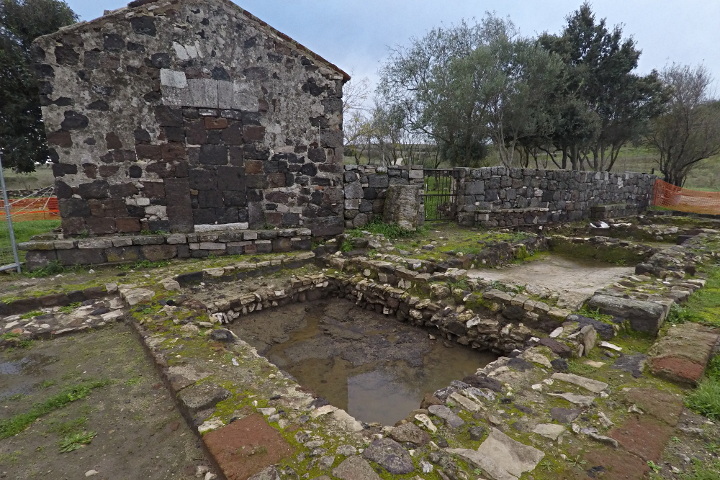 The origin of the inhabited center is certainly ancient, even if there is no precise information about it; the first historical documents in which the name of Bulzi appears date back to the Middle Ages. There is an extremely panoramic route that allows you to reach this village starting from Sedini (place known for the house in the rock); this road is the SS134, which runs along the descending ridge towards Bulzi. The view is magnificent on the steep valley to the right: the canyon of La Malmurrada, which resembles some American landscapes. In fact today we are just passing through these parts; while we follow the road that leads from Bulzi towards Laerru and Perfugas, our attention is captured by an isolated building among the meadows, on our left. 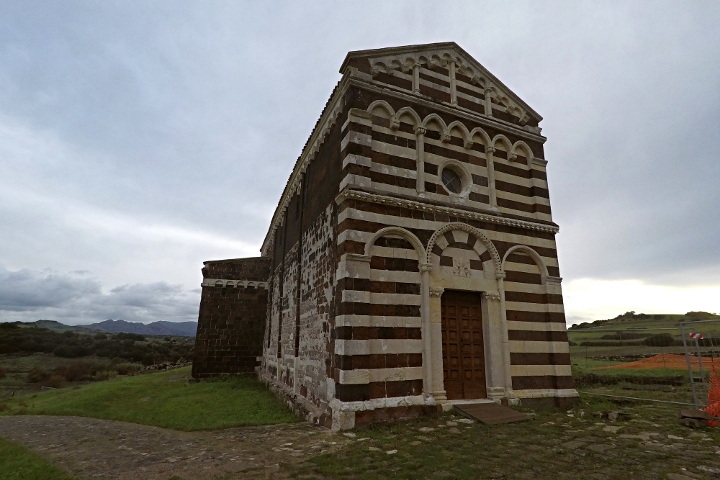 It is a beautiful country church in Romanesque-Pisan style. So we leave the main road, and we park in the square in front of the building. 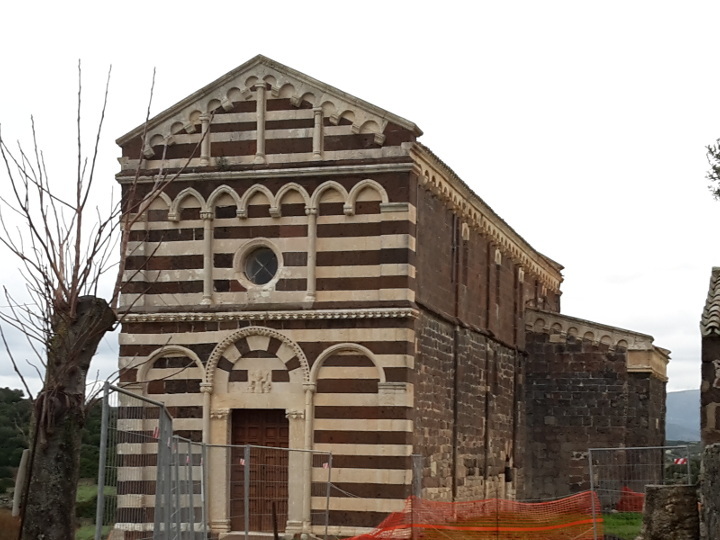 The Church, known as San Pietro del Crocifisso or San Pietro delle Immagini, was built in the twelfth century. 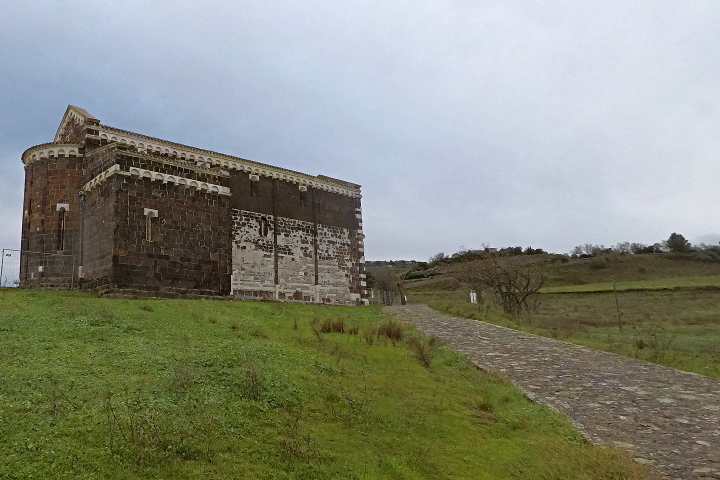 The building, with a single nave, is mainly composed of dark volcanic stone. 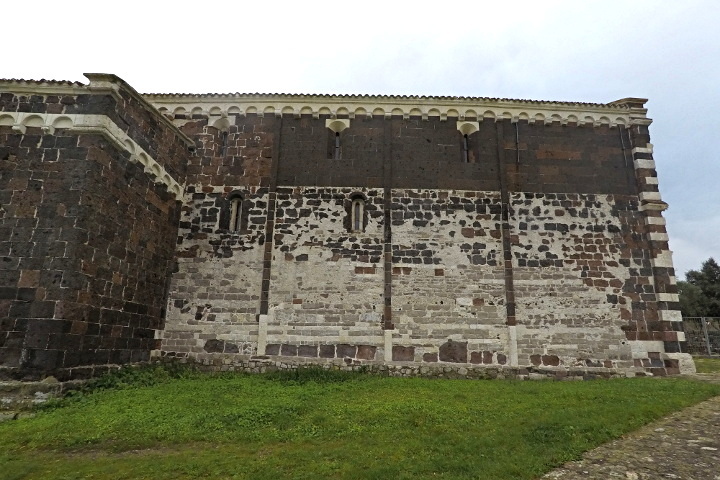 The facade presents a style common to other medieval Sardinian churches, alternating clear limestone bands with other darker ones. 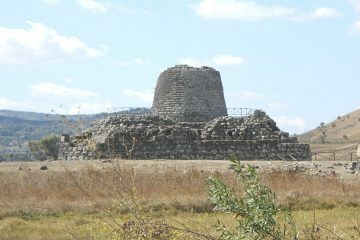 In the surrounding area we see the remains of ancient walls, brought to light by excavation activities; here, in the Middle Ages, there was also a Benedictine monastery. The name “San Pietro del Crocifisso” (Saint Peter of the Crucifix) is due to the presence of a wooden sculpture, previously preserved here; it is the representation of the Deposition of Christ from the Cross, dating back to the XIII century and now preserved in the parish church of Bulzi. 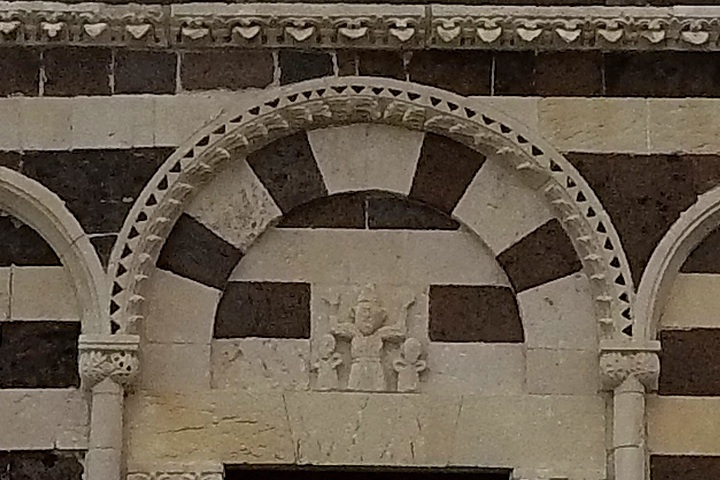 The name “San Pietro delle Immagini” (Saint Peter of the Images) is due to the bas-relief in the middle of the facade. In spring, during the Ascension Day, the Church is reached by the traditional procession for the religious event of “Su Rughefissu”, very important for the people of Bulzi. 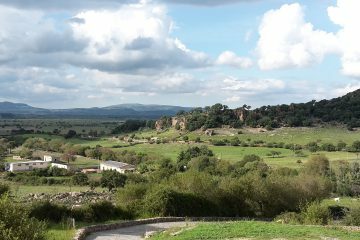 Today we just take some pictures of the exteriors and the surrounding green landscapes, having found the building closed. From a panel, however, we learn that you can participate in guided tours, with indication of the seasons and times; certainly in the future we will come back here!